Camping is not what it used to be. Now, whenever people go camping with their tents they take their whole house with them. They have tables, chairs and even portable kitchens. Sometimes it all seems to get out of control and camping becomes Glamping. 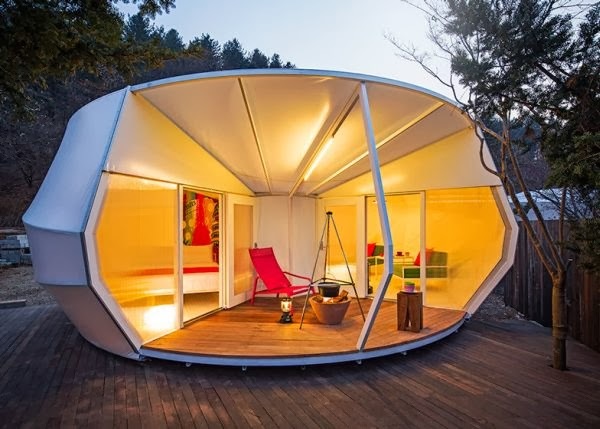 It’s the case of these unusual tents which were designed by ArchiWorkshop for a remote campsite in Yang-Pyeong, South Korea.